Peel Mining intersects over 20% zinc at Wagga Tank. Core Lithium with high-grade drill results at Finniss ahead of DFS. Spectrum Metals with bonanza gold grades at Penny West. 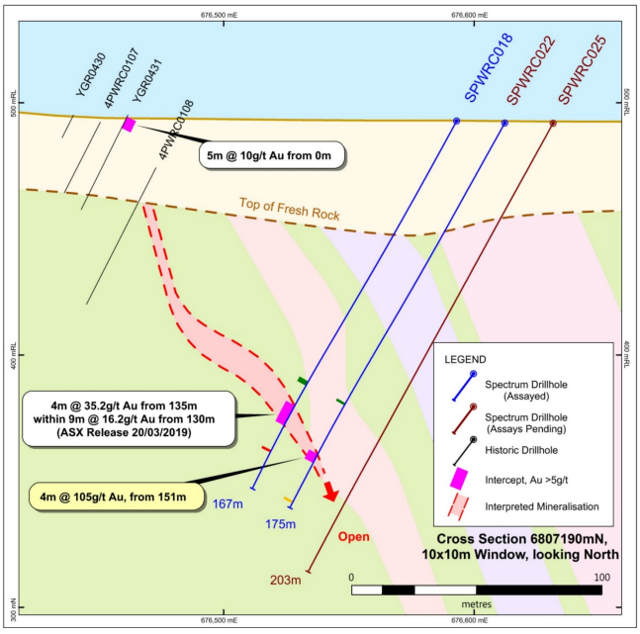 This hole was drilled around 50 meters northwest of hole WTRCDD150, which intersected 18.2m @ 40.3% Zn, 15.21% Pb, 0.97% Cu, 356 g/t Ag and 2.77 g/t Au from 182m. 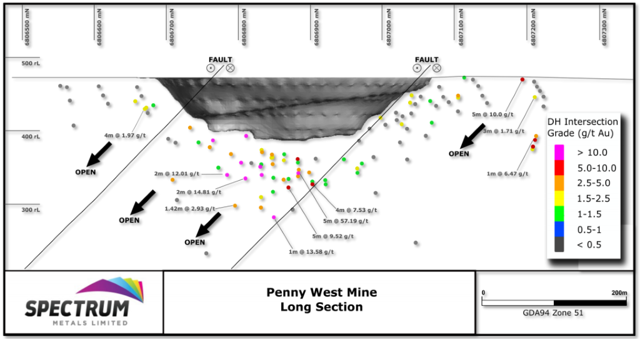 The company said that high-grade mineralization has been now confirmed over 180 meters of strike, and from around 120 meters below surface to at least 350 meters below surface. 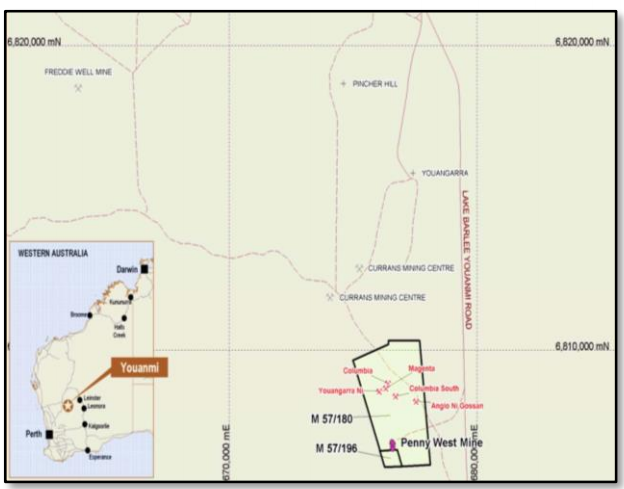 Peel Mining was featured into this series earlier in March when hole WTRCDD180 returned 16.95m @ 43.25% Zn, 14.66% Pb, 1% Cu, 356g/t Ag and 3.11g/t Au from 179.15m. This hole was drilled as a twin of drill hole WTRCDD150 to provide material for further metallurgical testwork and for Mineral Resource Estimate QA/QC purposes. Economic mineralization was discovered in the mid-1970s, but there was no drilling after 1989. Peel bought the project in 2016 and drilled 42 holes that year, with 24 returning significant intercepts. 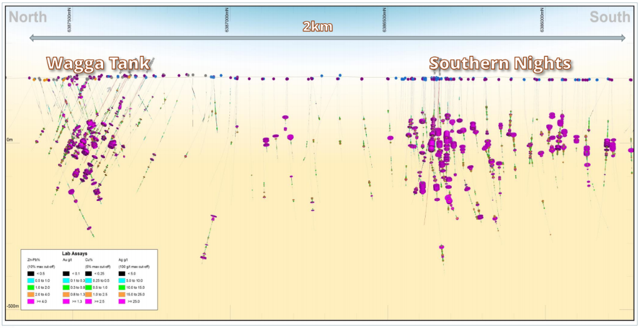 In 2016 and 2017, drilling confirmed historical data and mineralization was defined over around 300m of strike. So far, several holes at Southern Nights have returned over 40% zinc, which I think is truly amazing. Peel expects to release a maiden JORC resource by June 2019. This hole was drilled at the BP33 deposit and the company said that the new drill results confirmed the consistent and high-grade nature of the lithium ore body at the deposit. 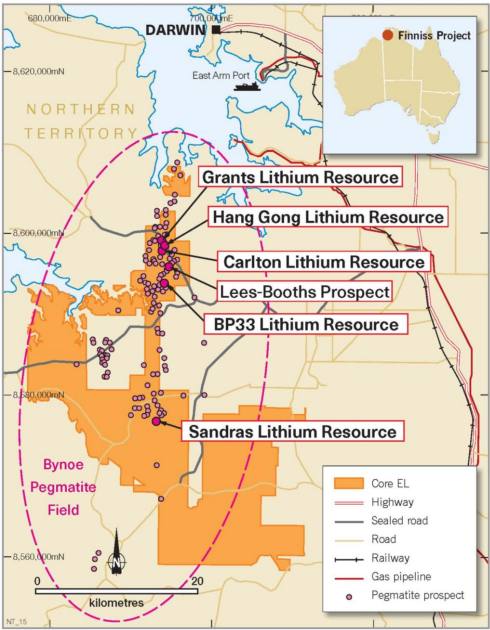 It’s one of the highest grade lithium projects in Australia and is located close to grid power, gas and rail infrastructure. Core has also signed offtake and prepayment agreements with some of China’s largest lithium converters. Core is just days away from completing a definitive feasibility study on the project. It plans to start mining in Q3 2019 ahead of the commissioning of a DMS plant in Q4 2019. In June 2018, Core completed a pre-feasibility study which projected A$346 million in revenue generation and A$168 million in free cash flow over a 26-month mine life. The capex was expected to come in at A$53.5 million. I expect the inclusion of the three deposits to double the mine life compared to the PFS and significantly improve the project's economics. 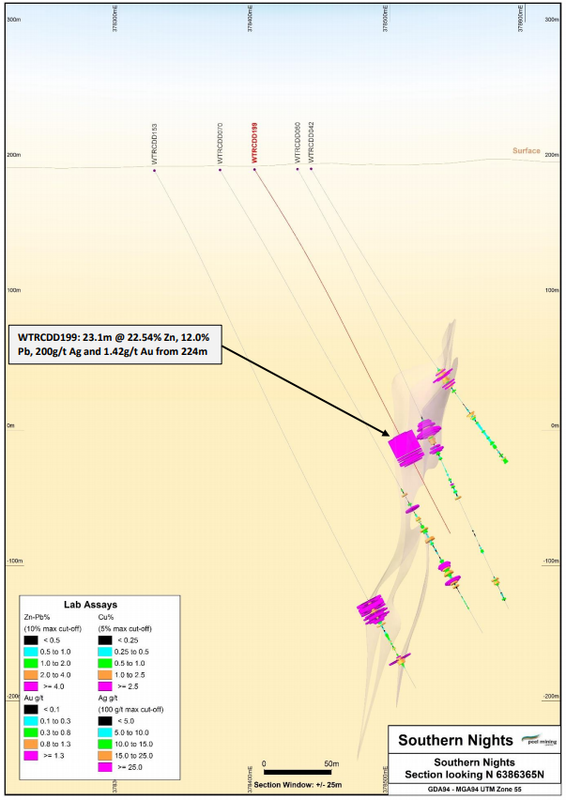 As you can see, the interception lies down dip of 4m at 35.2 g/t Au. 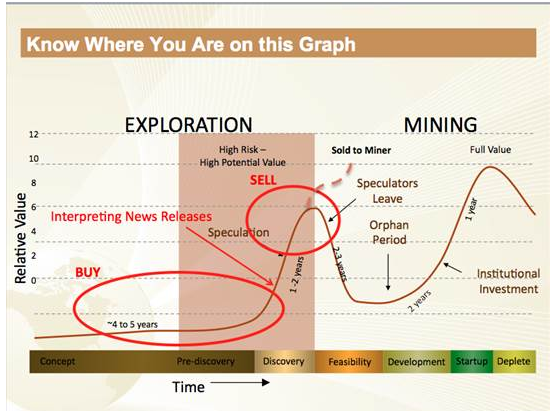 It formed part of the of Youanmi gold project until 2012 and Spectrum bought it in December 2018 for just A$1 million in cash and scrip. Penny West produced 85,000 ounces of gold in 1991 and 1992. 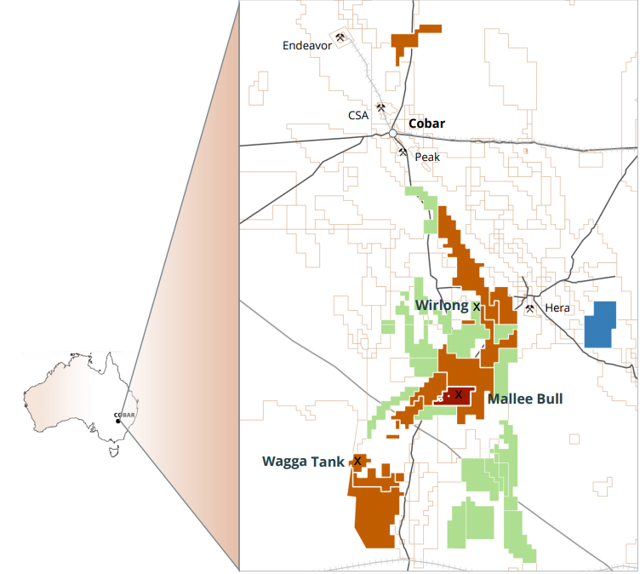 I continue to think that Wagga Tank could be one of the most important zinc-polymetallic discoveries in Australia over the past several years and the resource estimate should be fantastic. It’s a large-scale system with high-grade zones. 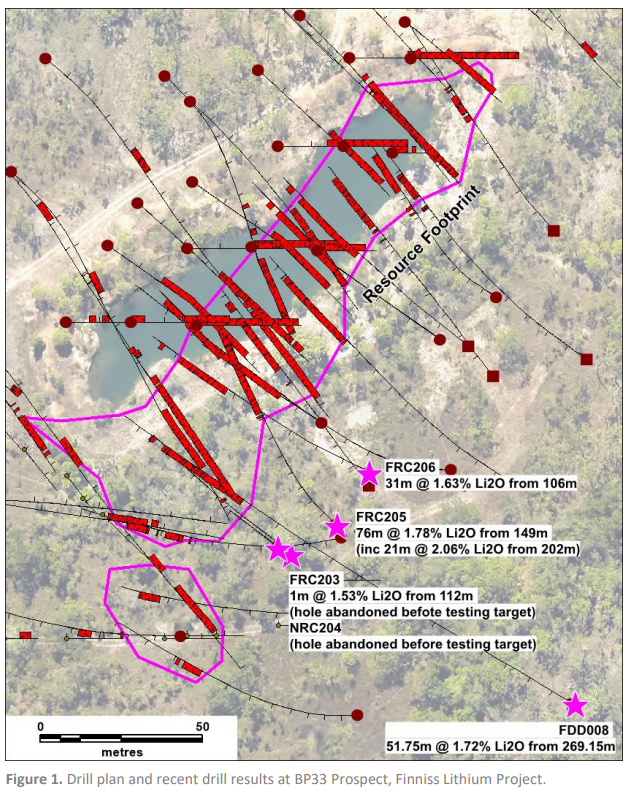 Several holes have returned over 40% zinc, and I think that the high-grade zones could be a game-changer. Unfortunately, the company’s shares are not listed in the US so if you want some exposure, you’ll have to go to the ASX. 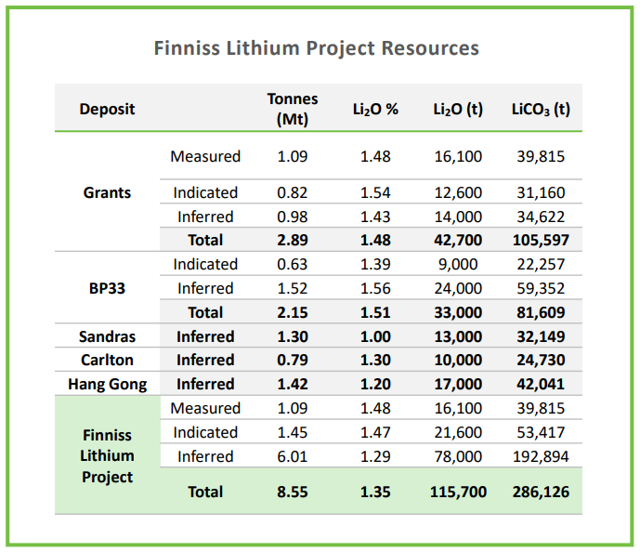 Finniss is a low-cost high-margin lithium project in Australia that has a mine life of just 26 months. However, the upcoming DFS should feature a much larger mine life thanks to the addition of two deposits, which should be reflected in the economics. The latter already look great and the project has a payback of just around a year. And $20 million of the initial capex is already committed by a major Chinese lithium offtake partner. Spectrum Metals bought Penny West for just A$1 million and the recent drilling results have already justified the purchase. It has a decent exploration potential, but I don’t think that the company deserves a market capitalization of almost A$30 million.